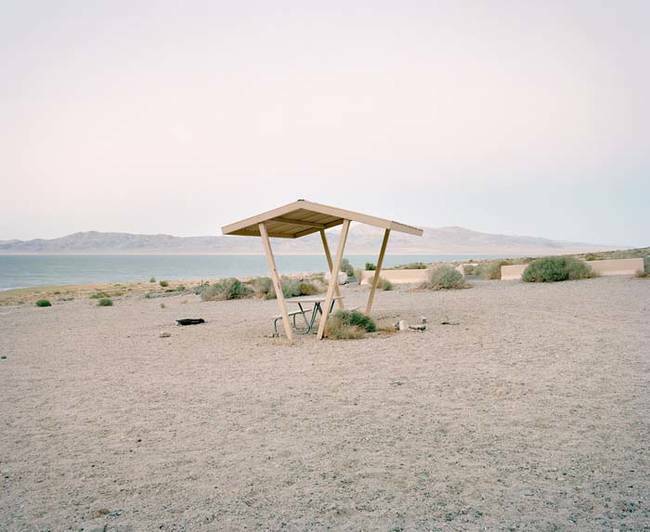 Ryann Ford is a California native who found inspiration for her latest photography series, The Last Stop, while she was moving across the country to Austin, Texas. The focus of her series? 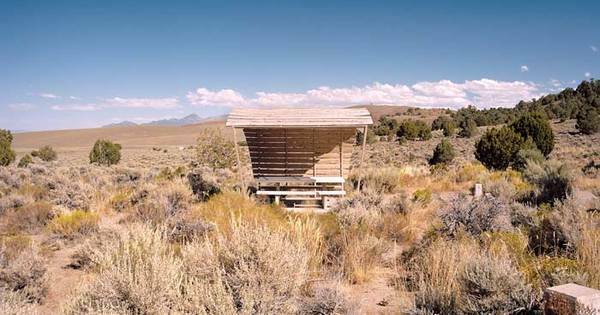 The creepy, but more often heartbreaking, scenes of abandoned rest stops along the less traveled highways, and byways of the United States. We recently sat down with Ryann to talk with her about her work, her experiences, and how she plans to bring The Last Stop series to life using Kickstarter. Thanks for talking with us today Ryan, let”s dive right in. For readers who may not know, could your describe your latest project, The Last Stop? Happy to be here. For the past five years, I”ve driven all over the country documenting America”s vanishing rest stops. With drive-throughs and gas stations at nearly every exit, traditional rest areas are losing the fight and are being lost in nearly every state. To date Ive traveled over 20,000 miles across 17 states and have shot over 150 of them. What”s the inspiration behind The Last Stop? My inspiration was the structures themselves. I am a big fan of mid-century architecture and can usually spot it when I see it. When I moved to Texas (eight years ago) and started noticing these old stops set out on gorgeous minimalist landscapes, I was instantly inspired. There are tables shaded by faux oil rigs, tepees, wagon wheels, and geometric shapes echoing classic mid-century design. They are a really great example of Americana. Abiquiu – New Mexico, near U.S. 84. Anthony – New Mexico, near I-10, the New Mexico/Texas Border. Augustus – Texas, near U.S. 84. Can you remember what it was like coming across that first rest stop on your move across the country? I dont think it was just one, actually, that inspired the project, or even stuck in my mind. I think after seeing a few of them, especially after arriving in Texas, is when I really started pondering that it might be a great photo project. We had rest stops in California and we visited them on family road trips when we drove to Arizona, but they were the much larger interstate rest areas that didnt have the same charm as the smaller, quirky ones that I first saw in Texas. Big Bend National Park – Texas. What has the reaction been like to your photos so far? The reaction has been incredible. When the project was still in its early stages, I hadnt shown the photos to anyone at that point and wasnt sure if other people would be as excited about the project as I was. After about three and a half years of working on it, and shooting about 100 stops, I decided it was finally time to release some of the photos and see what people thought. I first submitted them to Photo-Eye, a very well respected photography site and gallery, and was thrilled to find out they were accepted into their online showcase. From there they went to Feature Shoot, another esteemed photography blog and the project kind of exploded from there. The New York Times Magazine ran about 9 shots and I started receiving emails from people all over the country sharing their stories and memories from their time at rest stops. I think the project has revealed something much deeper in the American consciousness and I think that people feel like this project is in a way preserving their history, too. Burleson – Texas, near I-35. Clines Corners – New Mexico, near U.S. 66/I-40. Juan Santa Cruz Picnic Area – Tucson, Arizona. In addition to just photographing old rest stops, you also did some research about their history. What was the most surprising thing you found out? When I started the project I did a little research and was alarmed to read that they were currently being closed and demolished all over the country. I immediately felt an urgency to document as many as I could, as quickly as I could. It was also really interesting to find out how much thought went into these stops. When Eisenhower designed the Interstate Highway System in 1956, it standardized highway design from coast to coast.The one element that stayed within the jurisdiction of the states, however, was their rest stop design. States really took advantage of that and used the best architects and designers, and their creativity, to design stops that represented the different regions of their state and their cultural and historical significance. Thackerville – Oklahoma, near I-35. White Sands National Monument – New Mexico. 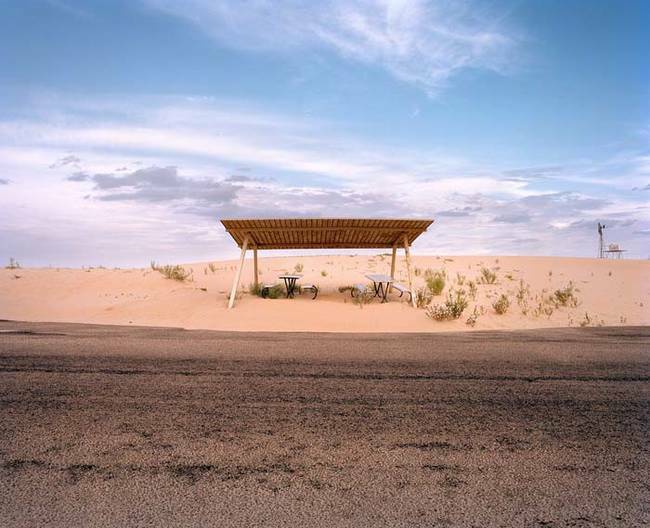 How did you organize your trips to photograph these rest stops? Before setting out on a trip I spent some time planning. I would usually use Google Images, Flickr, etc. to search for peoples snapshots of rest stops all over the country. When I found one that looked interesting, I would figure out where it was located and plan a trip around usually 5-10 that I had found online. I usually went out on week long trips. As we drove from stop to stop however, we would always come across lots of new ones that we didnt know about or that werent on the map. Wed be driving and see a Rest Area 1 Mile Ahead sign and never know what it was going to look like. That was one of the most fun parts of the trips. Millers – Nevada, near U.S. 95. Monahans Sandhills State Park – Texas. Most of the rest stops you photographed are in the American southwest, why is that? When I started the project, I had planned on trying to shoot some in all 50 states. When I headed into the Midwest and the Northeast however, it was very difficult to find any, and if I did, it would usually just be a non-descript wooden or concrete picnic table. I think because of how desolate the southwest is, and how extremely hot the weather can get, the tables were always designed with structures shading the table, which added to the design, and there were a lot more built because of the long stretches of road with no amenities available. The northeast is a more densely populated part of the country, and trees often shelter the table, hence the lack of structure. Organ – New Mexico, Near U.S. 70. Petrified Forest National Park – Arizona. Pojoaque – New Mexico, near U.S. 84/285. Has photographing rest stops like this spoiled you to the modern form of American road tripping that”s all superhighways, and giant MacDonald”s/fast food restaurants? Yes, definitely! When I have to travel anywhere now, I always prefer to drive, even if its a two or more day trip. I just prefer driving over flying and I prefer driving smaller roads versus freeways and superhighways. It is more about the journey than the destination for me, for sure! Saguaro National Park – Arizona. Post – Texas, near U.S. 84. Sonora – Texas, near I-10. Did you encounter anything weird or strange when you were going photographing these places? Of course! Weird things are one of the best parts about road trips! One of the craziest things was at Walker Lake, Nevada. I had seen a preview of the tables there online, and set out to find them. We had been driving all day to get there, however, and didnt make it by sunset. We had planned to camp, but when we got there it was too dark to see to set up the tent, so we decided to just stay at a motel and shoot the tables at sunrise. When we pulled in at sunrise, we got out of the car and started walking toward the tables and started to notice that every bush, every rock, everything, was completely covered in spider webs. It looked like a haunted house. Once I got close enough to the first table, I could see that there were giant spiders everywhere! Ive never seen spiders this large in my life. We tiptoed around for about a half hour and got the shots, and then got the heck out of there as fast as possible. I Googled Walker Lake spiders on my phone as soon as I got back to the car and sure enough, there was some strange phenomenon going on. I would have died if we had set up our tent and woken up with spiders crawling everywhere! Walker Lake – Nevada, near U.S. 95. At the moment Ryann is running a campaign on Kickstarter to raise money to create a photo book from the pictures in The Last Stop. Make sure to visit the campaign page and donate if you feel called to. Every little bit helps. You can also check out more work from Ryann on her website, and Instagram.